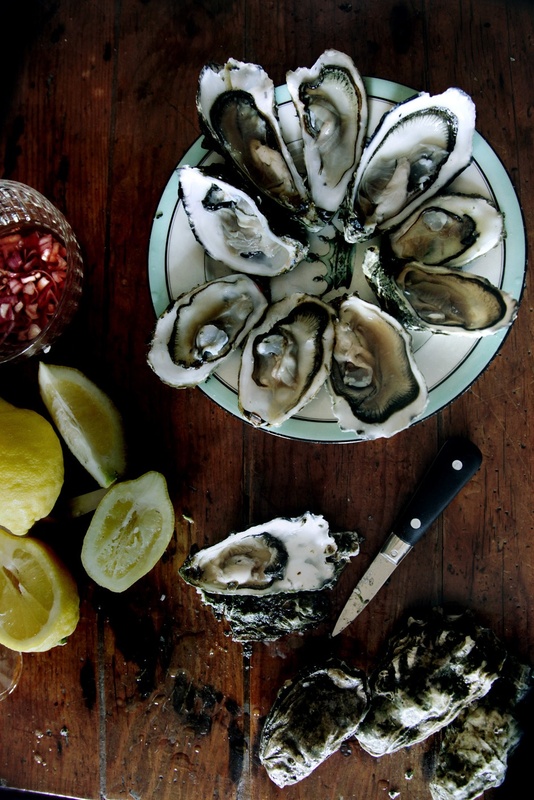 Médoc is not only famous for its fine wines but also for some of the best oysters in the world. There are about 350 oyster farmers on the Arcachon Basin producing 10,000 tonnes of oysters a year. The basin has an enclosed bay with an ideal temperature for oyster farming. Oysters are sold everywhere, from markets to any street corner, and during the autumn season, stalls are setting up ‘en force’, getting ready for the winter, where oysters are the main attraction for the festivities of Christmas and New Year’s eve. In summer, the markets open little stalls where you can sit and have plates of oysters, served with a small glass of crisp and fresh white wine. Yesterday, I couldn’t resist buying ‘take-away’ oysters and have them at home for starters. I always serve them with lemons and a red wine vinegar/chopped shallots sauce. We love going to Cap-Ferret on summer week-ends – it is about an hour’s drive from where we live. Cap-Ferret is renowned for its understated chic, beautiful white sand beaches, amazing pine forests, sand dunes and little oysters cabanons (sheds built on piles with rounded tiles). It is an idyllic place, like a venetian lagoon, where you get a taste of French paradise. Those oysters are beautiful. Funny to say, I’ve never been to Médoc. My mother’s family was in Hérault. I’ve spent plenty of time in that area, and in Nice and Paris, but I think that I’ve never seen Médoc. Nice to discover it here! 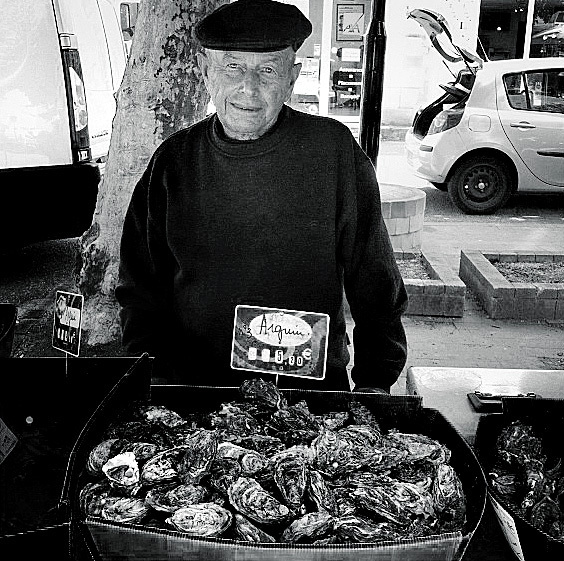 those oysters look incredible, love the fact that you have included a picture of the lovely old gramps selling them!